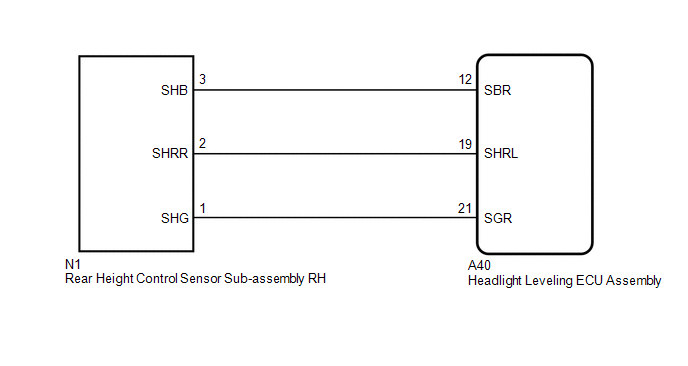 The headlight leveling ECU assembly receives signals indicating the height of the vehicle from the rear height control sensor sub-assembly RH. Replacement or removal/installation of the rear height control sensor sub-assembly or work that changes the vehicle height such as replacement of suspension components. DTC B241A is not output.